Sometimes learning classical music can seem like a chore. Hours spent in a practice room, honing skills on one's own, can be isolating at times. However, the good news is there is more to a musical education than lessons and practice alone. Developing ensemble playing skills is essential for any aspiring musician - and the good news is that it is fun to do! When playing with others, the first principle is that you must play together (stating the obvious, I know), and therefore, you must play in time! Your ability to count reliably, and to keep a steady pulse, will be strengthened in the process. Okay, I am not advocating that you do not practice your parts when you are part of a group, but what I am saying is that there will be times when new music is placed on the stand in front of you, and you will have the opportunity to try out your music reading in real-time - no second chances or stopping allowed! As musicians, we necessarily must concentrate a great deal on our own individual technique. Playing in a group causes us to look outwards and develop more of a team spirit in our music making. 4. You will be inspired! As a teacher, this is my favourite reason of all. Learning new repertoire, playing together in a group, and enjoying new performance opportunities are all strong motivators for young musicians who are looking for reasons to keep learning and improving on their instruments. One more point: if you're a pianist, this applies to you also! Joining a choir is one possible way to gain ensemble experience, and is one of the best things you can do to improve your general musicianship. If you’re a budding researcher, working long hours on your thesis, you’ve probably heard the advice ‘write early and often’ from many sources. I can understand the logic of this advice: writing skills need to be used and developed through regular practice. However, there needs to be a clear purpose behind your writing, and clear and informative content within it; the ‘write early and often’ mantra presupposes you have something (or enough of something) to write about. Occasionally, writer’s block can be a sign that you need more material, and more ideas to write about. In the early days of writing my PhD in music history, I would write early, and write often, but then found myself wandering in circles. I was in the arts, I was in a qualitative discipline, and surely this was the best path to follow for getting my thesis done. However it wasn’t until I adopted a more scientific mindset, where I collected ‘data’ first for much longer period, and gave myself time to really reflect, take notes and then write, that I made substantial progress. One book in particular helped me to develop this mindset of focusing a substantial amount of time on information gathering: ‘Destination Dissertation: A Traveller’s Guide to a Done Dissertation’ by Sonja Foss. * This book breaks the thesis down into a number of steps, and the hours required to complete them. While I did not stick exactly to the number of hours recommended for each step, it was an incredibly useful reference against which to measure my progress, and it helped me to build my own spreadsheets for tracking progress and managing the project that is a PhD. How does the ‘have something to say first’ idea translate over into the more casual world of blogging and writing short articles? I can only answer for myself here: part of having something to say comes through living life and venturing into new experiences with a learning mindset. I have gained a lot through reading the blogs of others, on things as diverse as academia, writing, parenting and cooking; and there comes a point where you realise you might have something to add to the conversation. Your own vantage point, shored up by your own mix of particular experiences, is a valid and unique one. When you reach the point where you do have something to say, that's when the regular writing really comes into play (for me anyway). Write notes, write ideas, use software, use pen and paper and keep track of all the ideas you have. Everyday if you can. There comes a point in both academic and blog writing where limits do need to be set, and you need to stop looking for information, and start writing, but it may not be as soon as you think! *Please note: this is an affiliate link, which means that I may receive a portion of any sale made through said link. How can you move from having a handful of students to a vibrant music teaching practice? Sometimes musicians aren’t the best marketers - you may be a fantastic performer or teacher, but unless people know about you, it won’t help you to build a thriving teaching studio. All musicians spend years honing their skills in performance and musicianship, but the skills you need to build what is (in some respects) a business are different; you are required to be savvy in a number of other areas, and confident with things like technology and marketing. So I’ve compiled a list of tips - they are all things which I have tried out myself, and have found to work. Give them a go and see if they work for you! 1. Online presence: GET A WEBPAGE! This is crucial, and easy to do. Your webpage is like your online business card, and on it you can have your biography, including qualifications, any information about your teaching philosophy which you feel is relevant, and your contact details. You really don’t need much in the way of contact details (and, for privacy/security, you should leave off details such as your address, particularly if you are working from home) as your potential clients will already have email, if they are looking for a teacher online, which is a perfectly fine way for them to make the initial contact. You can also include pictures and sound on many websites; you can be as creative or as simple as you like. The main thing is that your website gives potential students and their parents the sense of what kind of teacher you are. If you are looking for a simple and quick option, try a provider like Weebly, where you can create a website with ease and minimum of cost. This is one of a number of options which offers easy drag and drop editing; you can look around to find others if you would prefer an alternative. Depending on where you live, there are generally a number of webpages providing music teachers’ listings for potential students. Some perform better in search engine rankings than others, and if you do search for music teachers in your home city yourself, you will be able to work out the best sites to place your details on. I have personally found Music Teachers Online to be very good. Admittedly, this does not seem like an obvious place for a music teacher to go - it’s generally used more heavily by corporate and other professionals. However, not only will a linkedin profile enable you to network with other people in your field, your profile will also show up on a google search for you, and increase your web presence. It’s really worth taking the time to do an in-depth profile, listing all your eduction and career achievements. Once it’s done, go back to your webpage and provide a link to this profile - any of your potential students and their parents can now find out more about your career to date, which will be very helpful for them when deciding whether to get in touch with you about lessons. This is a bit more old-school, and may have varying results depending on where you live/ teach, but it is an exercise which can result in a few potential students contacting you. Use whatever skills you have in Word/Pages to produce a half-page flyer with your name, contact details and what kind of lessons you are offering. If you have the time and are at the start of building your teaching studio, it’s worth trying this. This is worthwhile for so many reasons. One of these reasons is that most of the music association websites keep listings for teachers, so potential students can find you, (and also know that you are an accredited music professional). Any musical work which you undertake is an opportunity to build your profile as a teacher/musician in the wider community. Another way in which to build your teaching is to increase what kind of lessons you can offer. Maybe you have a second instrument you can teach, or you would be happy to offer theory lessons - theory teachers are not always easy to come by for students and their parents. One thing to remember is that, even when following these steps, building a thriving teaching studio can take time, but it is well worth the effort and persistence. Whether you’re just starting out (in which case, don’t forget to check if there any relevant regulations for operating a music teaching business in your city) or whether you have years of experience, hopefully there is a hint here to help you out! 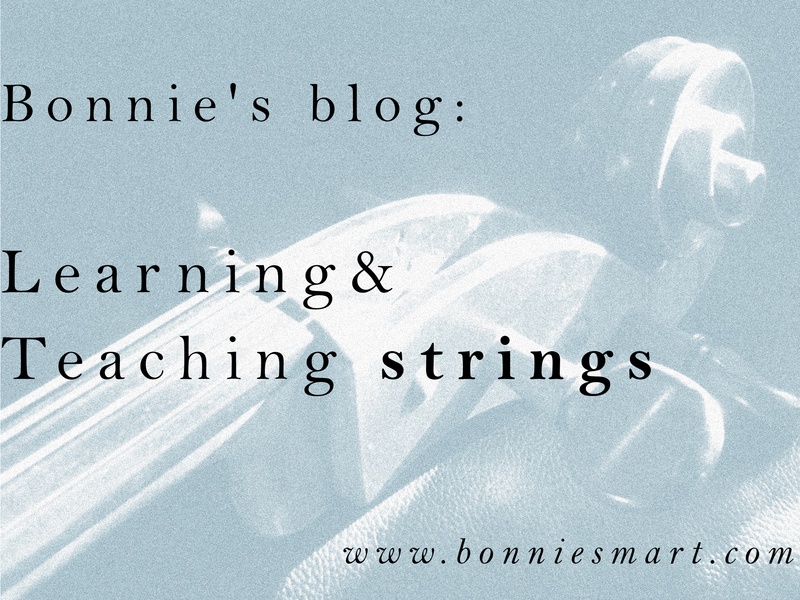 Thoughts on music learning and teaching, handouts and more. I also blog on a range of other issues as diverse as writing, renovating and cooking, click here!